She would make the perfect U.S. Attorney General! 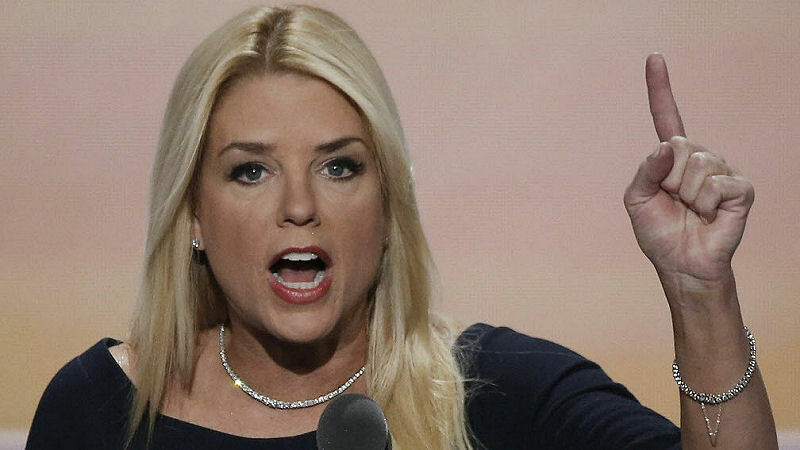 Pam Bondi did a serious number on Florida’s Pill Mills. Cleaning house riding Florida cities of sleazy narcotic peddling doctors. Assisted governor Rick Scott making BP Oil pay dearly for their Deep Horizon oil spill greasing our beaches for miles, chasing tourists away! She recently added CVS Pharmacy and Walgreens to a state anti pain med lawsuit. Drugstore chains accused in opioid crisis. Florida Attorney General Pam Bondi says pharmacies must be held accountable and help solve the problem.